If you could look younger, sleep better, and save money this winter by doing this simple trick, would you? 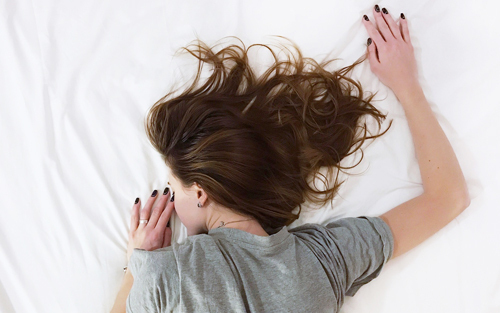 Because a subtle temperature change can maximize your sleep while improving your bodily functions, everyone should know the impact and simple adjustments to accomplish this. yourfootpalace.com explains how the body’s core temperature is related to sleep, uncovers the most significant benefits of sleeping in a cold room, and answers frequently asked questions about sleep and room temperature. Our core body temperature is regulated by the hypothalamus and kept between 96.8 and 100.4 degrees Fahrenheit during every 24-hour cycle. Within a normal circadian rhythm, a warmer core temperature is associated with being alert and energetic. It is when the core temperature drops that drowsiness and sleep occur. Knowing core temperature influences your sleep state is already a plus, but there are additional benefits that enhance your overall well-being. 1 – Fall Asleep Easier – A cooler room can aid the body in lowering its core temperature, naturally signaling that it is time to sleep. 2 – Fight Insomnia – According to a study by the University of South Australia, insomniacs have a higher core temperature and are kept awake while their bodies are losing the heat that is interrupting or delaying their sleep. 3 – Uninterrupted Sleep Cycles – Sleeping in a cold room helps you stay asleep, and in turn, allows you to cycle through the critical sleep stages naturally. When sleeping in a warmer environment, you are more likely to wake up throughout the night as your core temperature may rise. If your core temperature rises too fast or too high, this may trigger you to sweat. Sweating is one of the body’s ways of cooling itself off, as well as a mechanism to try and maintain the sleep cycle. When you wake up shivering, your core temperature has dropped too far. Shivering is one of the body’s mechanisms (muscle movement) to warm itself. 4 – Improved Melatonin Production – Melatonin is the body’s natural sleep hormone and a powerful antioxidant, and its production increases while sleeping in a cooler environment. An increased melatonin level works to keep you asleep throughout the sleep stages, and aids in slowing the aging process! Ready to turn down the thermostat yet? 5 – Increase Your Metabolism – Sleeping in a cold room works to rev up your metabolism which in itself helps to lower your risk of disease, and boosts the production of growth hormones. These growth hormones work to mend muscle tissue, aid in the healing of bone fractures, and are used by children in their growth stages. Question: What Temperature Should Your Bedroom Be At Night? 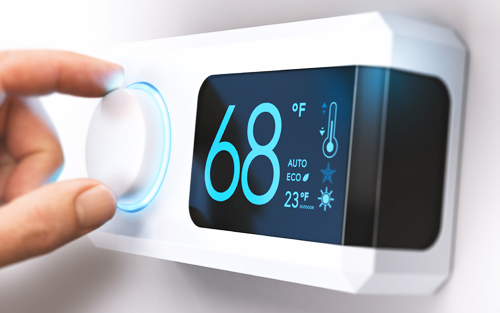 Answer: To benefit from sleeping in a cold room, the temperature should range from 60 to 68 degrees Fahrenheit. Question: Does Your Body Temperature Rise When You Sleep? Answer: No. In fact, drowsiness and sleep are triggered by a lowering of your core temperature. Question: Why Do I Sweat In My Sleep Every Night? Answer: Your room may be too warm. Likely, by adjusting the bedroom temperature, you can reduce, if not stop the night sweats. However, if the night sweats persist, it would be wise to seek advice from your primary care physician. Question: Is Sweating At Night A Sign Of Cancer? Note: For both men and women, sudden, radical, and/or persistent changes in your sleep stages should be taken seriously and evaluated by your primary care physician. Question: How Cold Is Too Cold For Sleeping? Answer: Temperatures in the mid 50’s and below can potentially disrupt sleep. If the room is too cold, you are likely to curl up under a mountain of blankets which may raise your core temperature to levels which can cause night sweats and may interrupt your sleep. Question: Does Sleeping In A Cold Room Give You Nightmares? Answer: Dreams and nightmares are not conclusively related to room or body core temperature. That stated, a cooler room has the tendency to aid in better sleep. Your overall health and well-being are dependent on your ability to consistently get a good night’s sleep. Sleeping in a cold room can help you do this while saving money on your heating bill. It’s a win-win situation. In this article, you discovered how the body’s core temperature is directly related to the quality of your sleep, the most significant benefits of sleeping in a cold room, and answers to frequently asked questions about room temperature and sleep. Your health, looks, and well-being are directly related to your ability to rest. Your uninterrupted sleep stages are of your mind and body’s greatest necessities, and you can enhance your sleep while maintaining your circadian rhythm by sleeping in a cold room. The post 5 Benefits of Sleeping in a Cold Room appeared first on https://www.yourfootpalace.com. Previous Previous post: How Can I Prevent Alzheimer’s Disease?